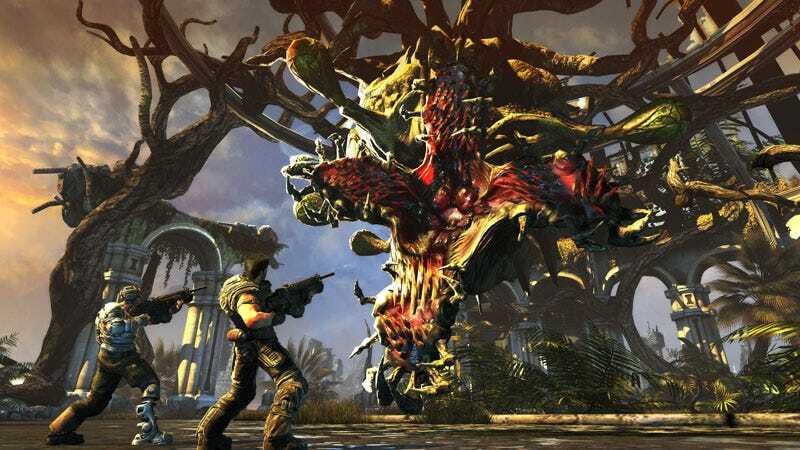 Bulletstorm got a pre-release demo on the Xbox 360 and PS3. "In other news, PC gamers are grumpy about this," Epic Games' Cliff Bleszinski tweeted last month. Well, Bulletstorm will get a PC demo, but after its release. In other news, PC gamers are probably grumpy about this. Epic's Mark Rein tweeted that the Bulletstorm PC demo "should be available shortly after" the game's release on Tuesday. The game is, quite obviously, heavily marketed to the Xbox 360 over all other platforms. The Gears of War 3 beta invitation included in Bulletstorm's "Epic Edition" is a big hype driver. Nice to see all constituencies finally served here, but, yeah, a post-release demo isn't much to de-grumpify the PC bloc.